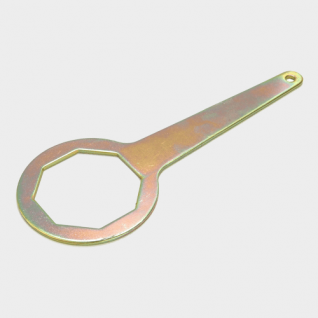 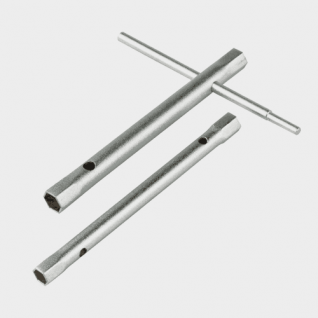 Also known as an element key, the socket of the box immersion heater spanner fits over the heater element to create a snug fit. 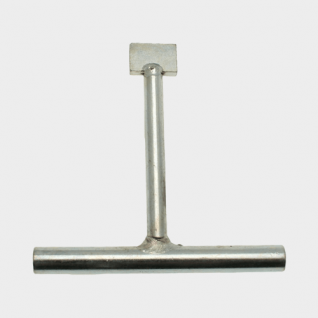 The base of the tool is octagonal to create the best possible grip. 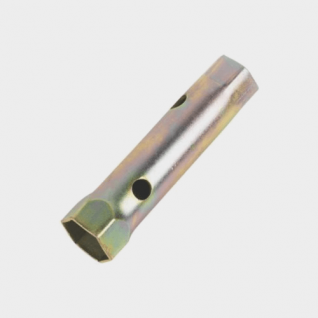 The tommy bar is used to rotate the spanner and can be adjusted to make one long handle or two short ones. 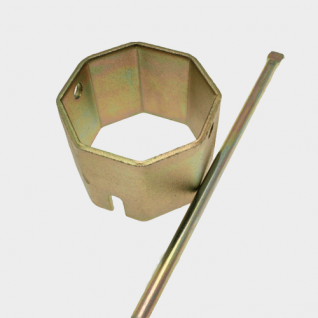 It can be used on any type of hot water cylinder. 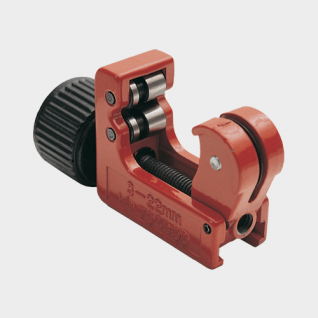 It is possible to use a Stillson pattern pipe wrench or a pair of adjustable grips to turn this kind of spanner if it does not have a tommy bar, although gripping it anywhere other than the base (close to the hot water tank) comes with a risk of damaging the tool.